Big Question: Time To Raise The Minimum Wage? U.S. Senate Majority Leader Harry Reid recently predicted that both chambers of Congress will work in 2014 on President Barack Obama’s request to boost the federal minimum wage. 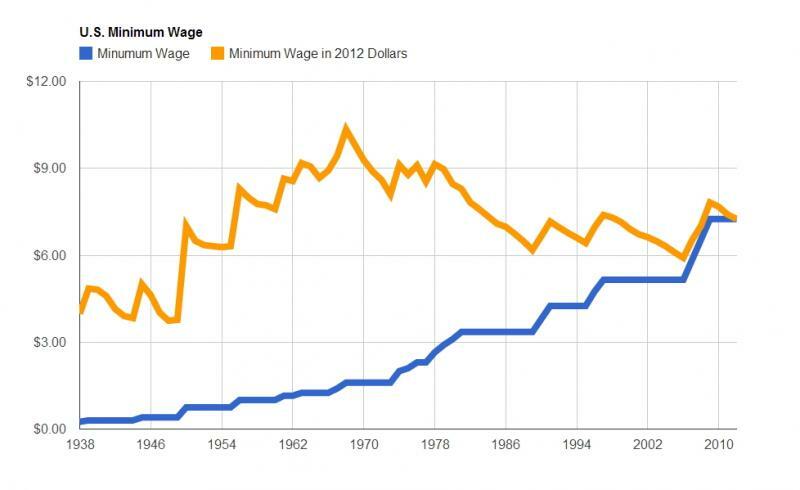 The current wage is $7.25 an hour, where it's been since 2009. Obama has called for an increase to $10.10 per hour. Earlier this year, he used his executive order privilege to set the minimum wage higher for federal contract employees. But, the proposal has received mixed reviews. Reyes called a minimum wage hike an anti-poverty program that has no administrative costs, is self-enforcing, improves the quality of life for the poor and provides a jump start to the economy. However, Tom Giovanetti, president of the Dallas-based Institute for Policy Innovation, said raising the minimum wage is a “terrible idea.” He stated that wages are the price of labor, and that there are plenty of low-skilled workers whose labor is not worth $10.10 an hour. As a result, he said that employers will not be able to afford to keep as many minimum-wage earners. “If you set the minimum wage at $10.10 an hour, you are reducing employment -- as even the (Congressional Budget Office) has recently acknowledged -- because you’re pricing some people out of the labor market.” Giovanetti said. The CBO recently reported that raising the minimum wage would cost the U.S. economy about 500,000 jobs, but would lift 16.5 million people out of poverty. Reyes stated that increasing the pay would have a spillover effect on the economy. “People who are making minimum wage -- if they receive an extra few dollars an hour, they’re spending it immediately. This is money that goes right back into the economy, so that’s helping their local store, the local bank, their car payment,” he said. Giovanetti declared that the spillover effect touted by supporters is a myth. “These arguments are all based on the idea that when you raise the minimum wage, that money somehow magically appeared out of nowhere,” he said. “That money is taken from someone to be given to someone else in the form of a wage increase. That money was already going to be spent." A Senate vote on raising the minimum wage may occur in late March or early April, according to Reid. Editor’s note: “The Big Question” can be heard each Wednesday at 7 a.m. on the Ideas Network of Wisconsin Public Radio.